The surface of bend leather is the reason why Calamo is Zanotta’s answer of the question of what makes a desk exclusive and noble. The Calamo table was designed by Gabriele Rosa in 2013. In order to focus on this specialty, the desk’s shape is reduced and clear: The surface of leather should be emphasized. Bend leather is a thick (min. 2,5 mm), herbal tanned and only moderately fattened calfskin, which keeps its natural, anarchic appeal by means of the material thickness. Another quality of bend leather is the high resistance against external influences. 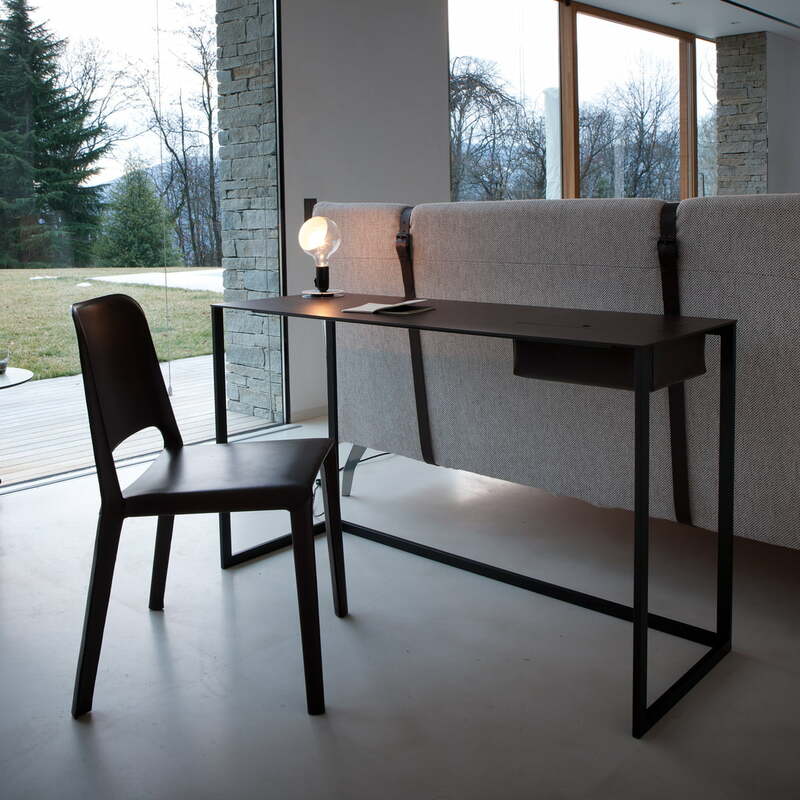 To work with the Zanotta Calamo desk is pleasant and comfortable because of the warm soft leather, contrasting other desks. The tray with tilt opening of the Zanotta Calamo Is also made of leather, but completely. 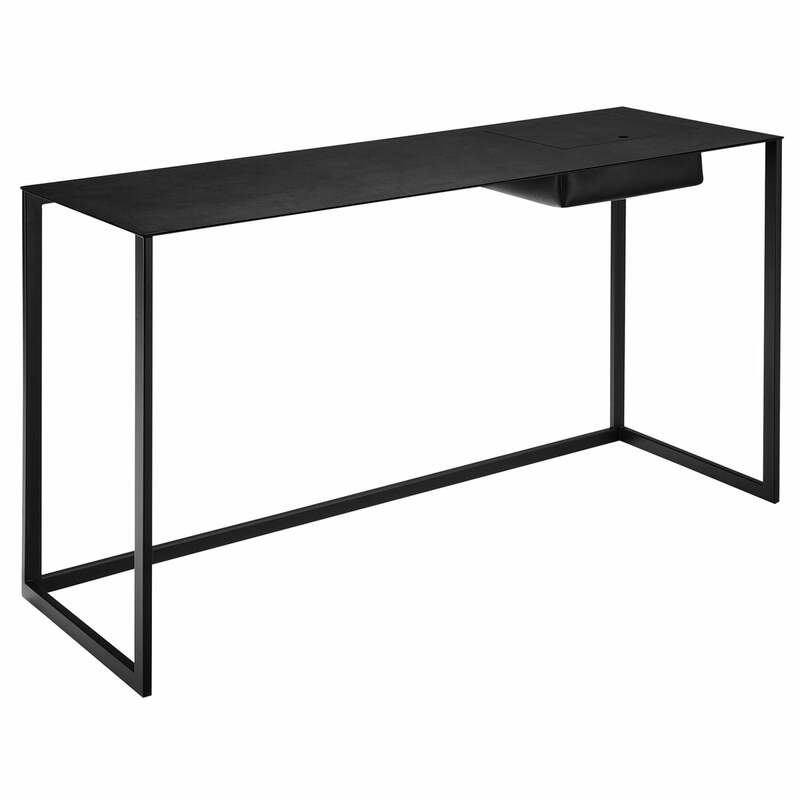 Zanotta offers the steel base in chrome, graphite or black lacquered.